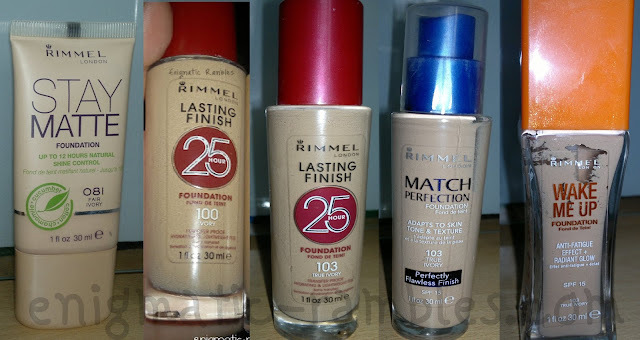 I was going through my foundations and noticed I have a selection of Rimmel ones. All are supposed to be Ivory / True Ivory but as you can see there is a lot of differences between them all. 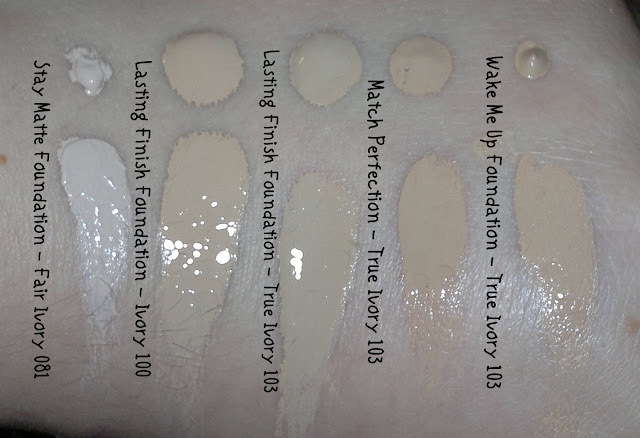 I thought I would share the swatches for anyone wondering which foundation to go for from Rimmel. It's Enigmatic Rambles' 3rd Birthday!